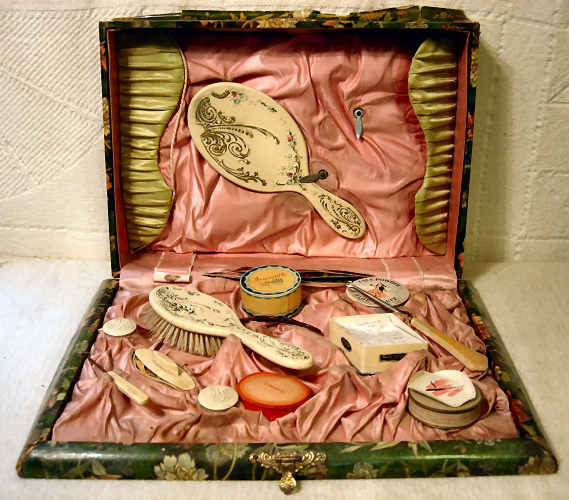 During the late-19th and early-20th Centuries, a woman's make-up case was a thing of beauty in itself. 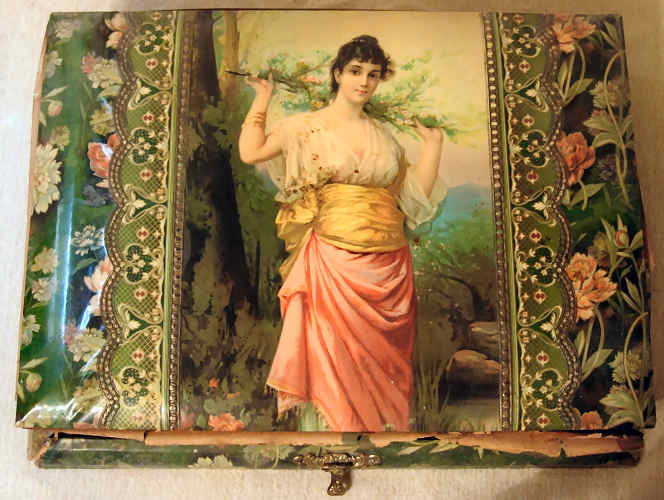 The make-up case, like the one shown here, might have been intended to be placed and kept on a lady's make-up table ~ or ~ it might have been intended to be taken with her when she traveled. 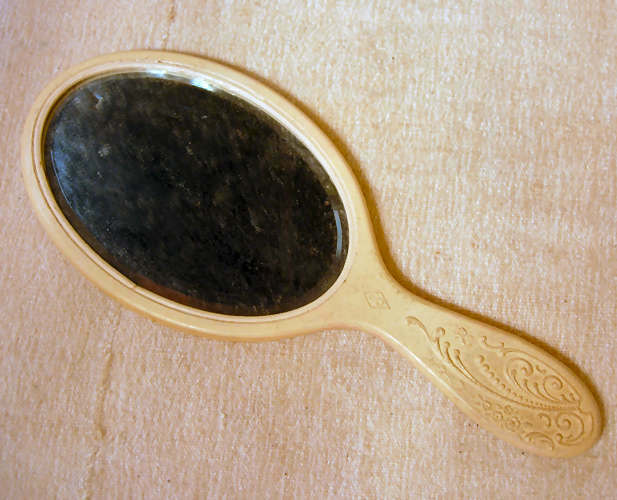 In any event, a case such as this one, would have added a touch of elegance to the lady's boudoir. 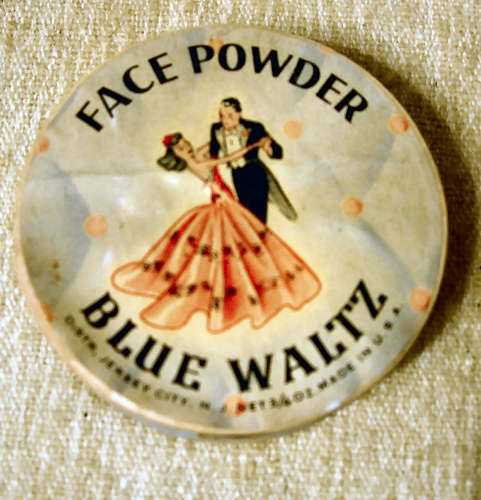 This make-up case dates from the 1920s or 1930s. It consists of a wooden box covered with varnished paper. The inside is covered in pink and green silk material. 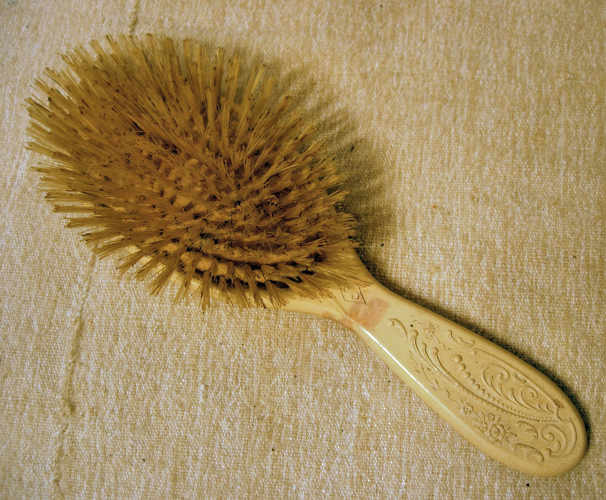 Underneath the silk material are structural forms designed to hold various cosmetic tools, including a mirror and hairbrush. 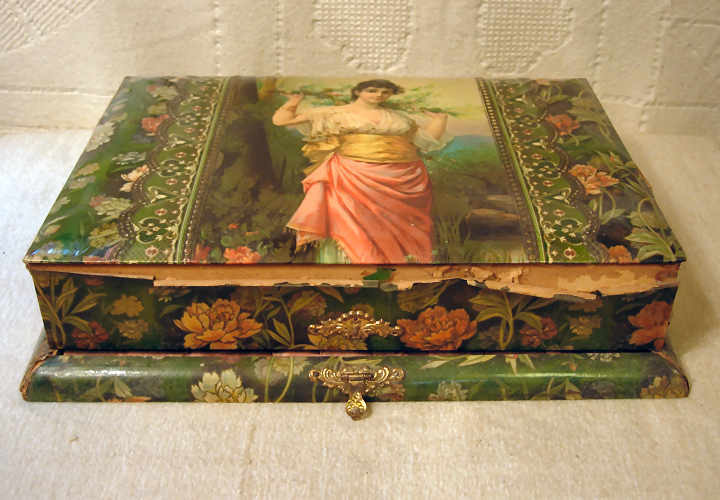 Because of the fact that the case does not possess a handle, and the bottom was not covered by the varnished decorative paper, it would appear that this makeup case was not designed to be carried about. 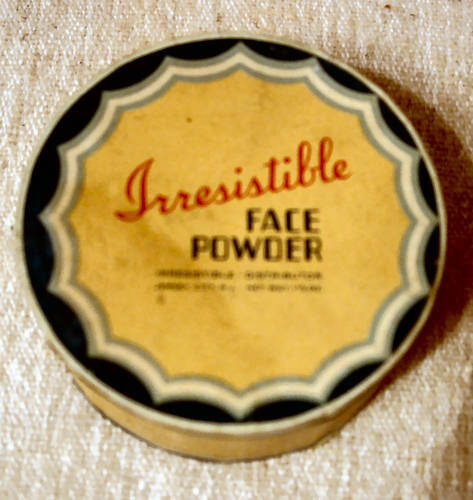 It would have been kept on a lady's makeup table or on a dresser in her bedroom. 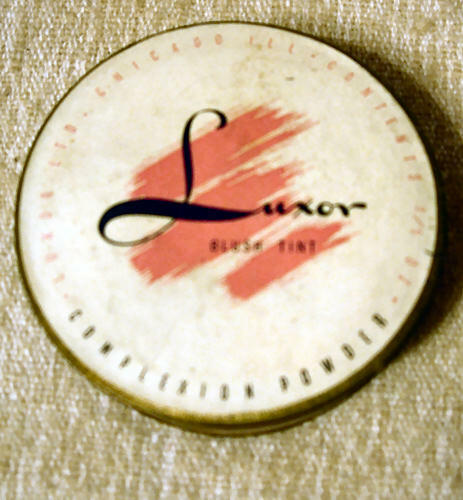 It will be noticed that the mirror is located on the inside of the lid, so that whenever the lid is in the open position it could be used as a free-standing mirror, leaving the lady's hands free to apply her makeup. 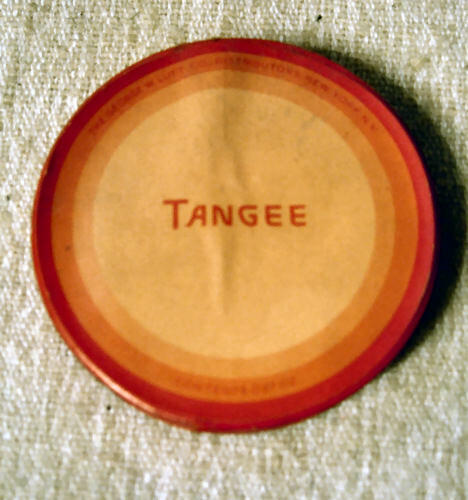 The make-up case held the mirror, a hair brush, multiple shoe button-hooks and small round packets of make-up powder.